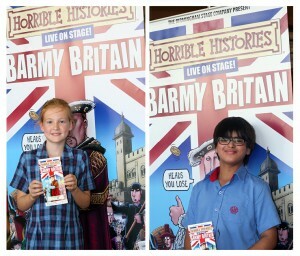 History was brought to life on Sunday 14 October and enlightened the historians of tomorrow by the latest Horrible Histories performance of Barmy Britain at the Cultural Hall,Bahrain. 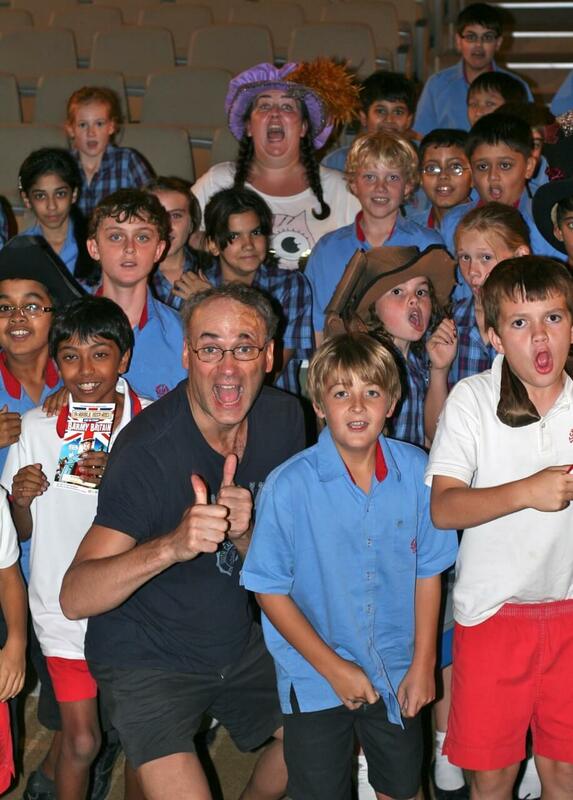 St Christopher’s Junior School took around six hundred 7-11 year olds to the show who were mesmerised by the gory stories throughout. 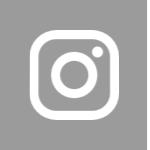 Britain’s 2000 year history was conveyed by way of raps, rhymes, facial contortions, puns, audience participation and alliteration in abundance. The slapstick nature of the Birmingham Stage Company explored stories from Roman, Tudor, Stuart, Georgian, Victorian and the First World War periods.The spontaneous and enthusiastic ovation by the packed St Chris house showed almost too well that history, when you leave the horrible bits in, really does engage children. At the end of the show a small group of children had the chance to have a Q and A with the stars of the show and thanked them, on behalf of all the staff and pupils at St Chris, for what was truly a GORY, yet memorable experience!